Grandmas are special people we think about ever so often. They are people who lend us a thought and a cheer, someone mom trusts to keep us happy and lively. 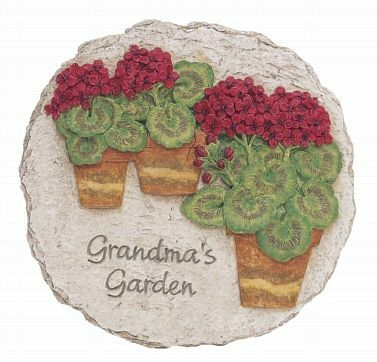 Our charming decorative stepping stone makes a lovely gift for grandma's garden.